All relevant documents of congreet are here for you to download. If you need further information please contact us directly. 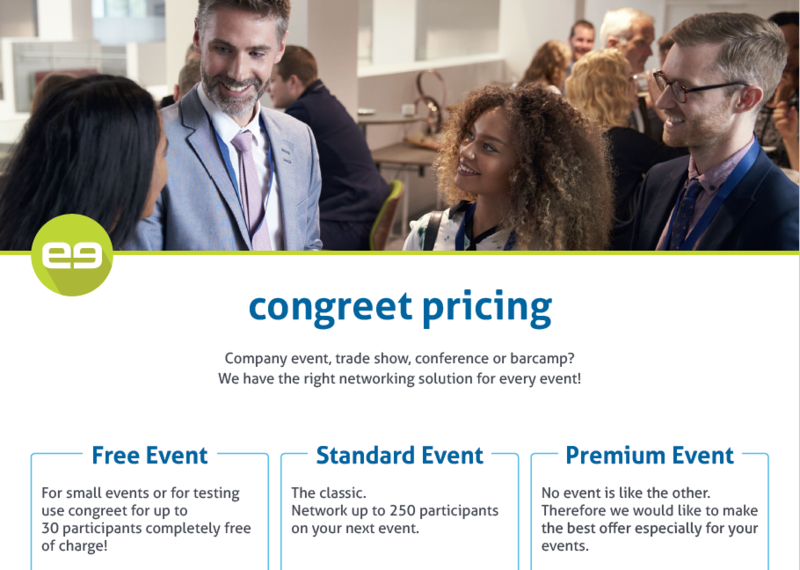 With our product flyer we want to present congreet easy networking and highlight all advantages for you by using the software. 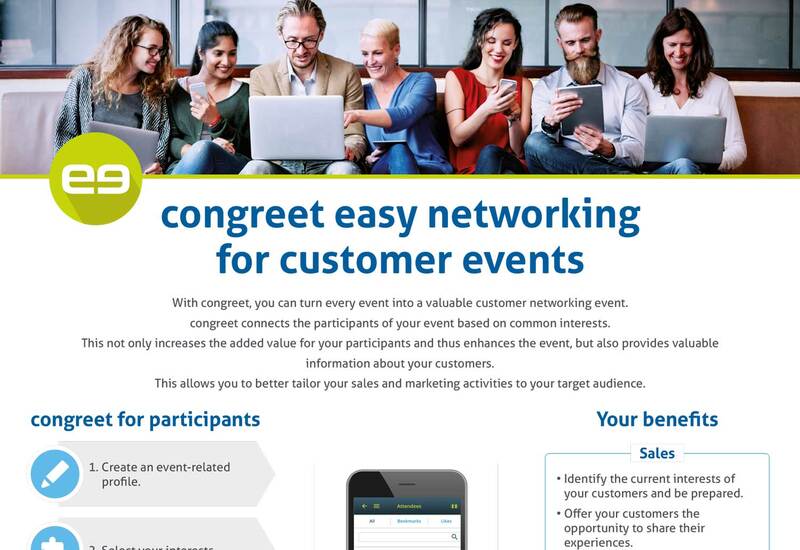 With congreet, you can turn every event into a valuable customer networking event. 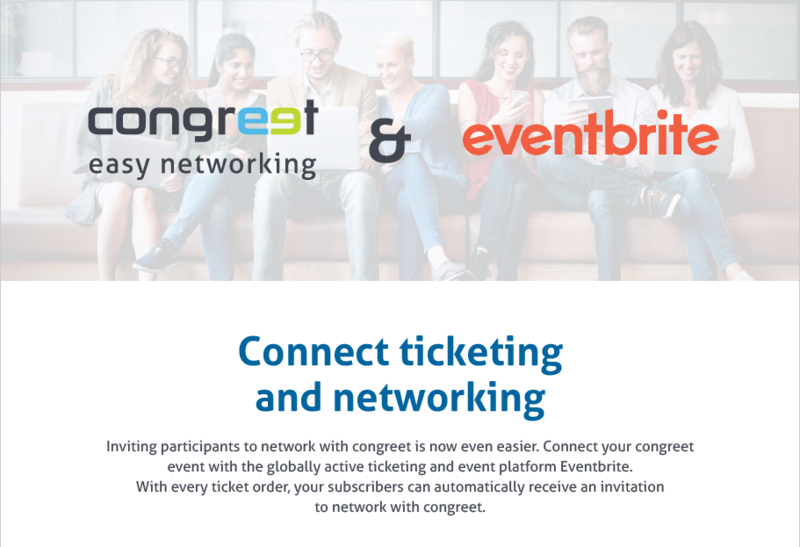 Connect your congreet event with the globally active ticketing and event platform Eventbrite. 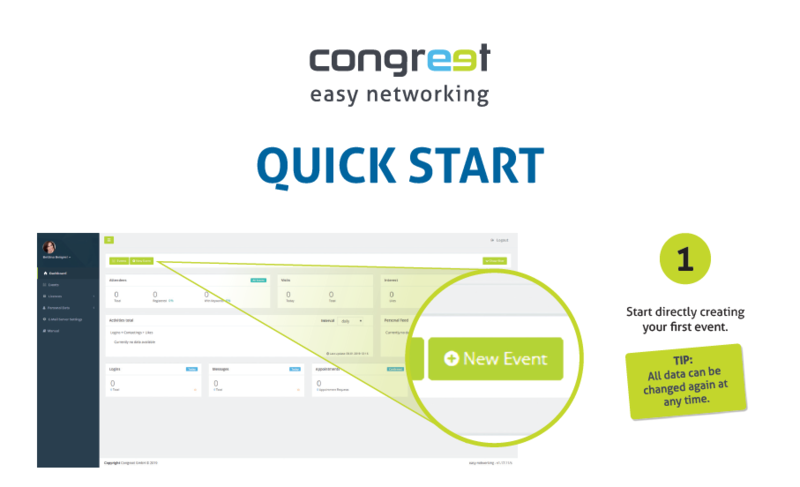 You have already registered at congreet and want to create your first event? Start right now by following the main steps showed in the quickstart. By providing the right keywords, your participants will find valuable business contacts. 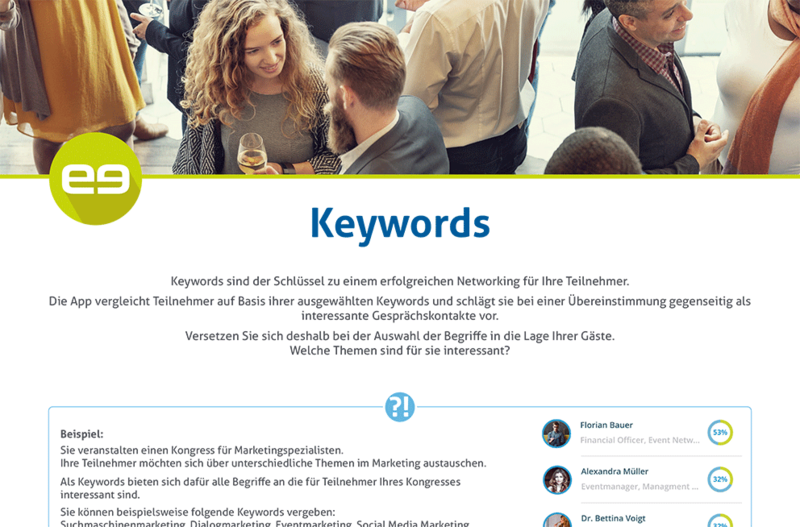 The guide will help you to identify the most important keywords for your event. Company event, trade show, conference or barcamp? 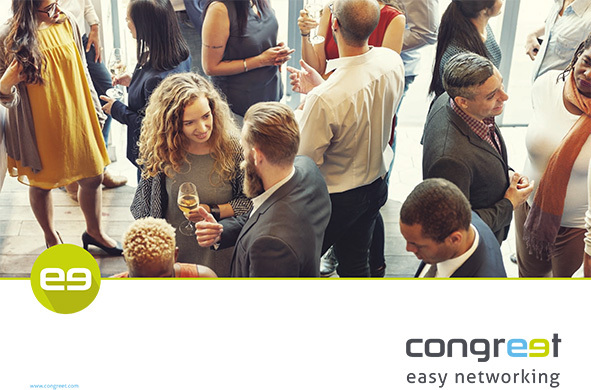 We have the right networking solution for every event!